This is one of our Vietnam Adventure Tours that makes your heart grow fonder on its duration of 20 days. 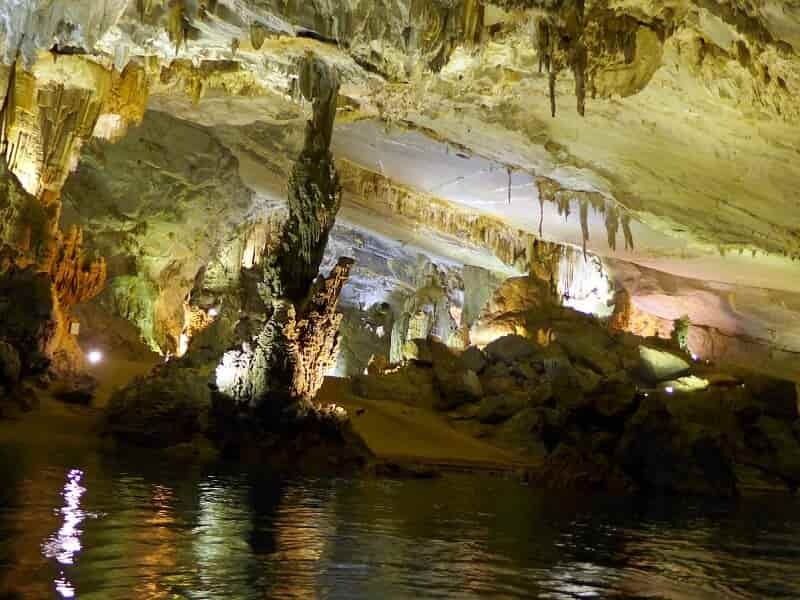 Explore the deep caves in the limestone islands of Halong Bay. Discover the beauty of the countryside from cultural markets to hill tribe villages. Venture deep beneath the sea to swim with exotic fish and cruise along the Cai River to witness the local fisherman. Down south, discover the buzzing streets of Ho Chi Minh City, and end your tour with a cruise in the Mekong Delta. From scuba diving to an overnight cruise, mountain bikes to kayaks, you will find the thrill of adventure that Vietnam has to offer. Welcome to HANOI, Vietnam’s cosmopolitan city filled with charm and tradition. Upon arrival, you will be met by your guide and driver then transported to your hotel for check in. Depend on your actual arrival time, some soft sightseeing for an orientation tour is suggested. There are some activities in the evening for this Vietnam Adventure Tour we recommend: follow your guide for a culinary adventure while tasting street food in the Old Quarter. It’s a great chance to sample all those weird and wonderful foods you see but just aren’t sure what they are! Stroll through the narrow streets of the old quarter as your guide points out a range of tasty noodles, snacks and breads. At night the sidewalks are packed with locals perched on stools, amongst bubbling pots and sizzling woks. These small pop up restaurants are a nightly feature that all but disappear during the day. Sit down and enjoy a flame-grilled Vietnamese barbecue of beef, chicken, vegetables and tofu on skewers. The night comes to an end with dessert from Hanoi’s best-known ice-cream parlour before returning back to your hotel. Your adventure holiday in Vietnam has already begun. Start with monumental Ho Chi Minh Mausoleum which houses the embalmed body of the communist leader in a glass coffin then the wooden stilt house where the president Ho Chi Minh resided in his later years. Ho Chi Minh himself, a spartan-living and scholarly man, chose not to live in the Presidential Palace; he preferred instead a simple teak stilt-house specially built for him in the grounds. Nearby you can see the One Pillar Pagoda, founded by fatherless King Ly Thai Tong in 1049 and Temple of Literature was Vietnam’s first university. Have time for the lunch break. Stroll through the narrow alley then be immersed with a strong Vietnamese coffee at a café overlooking Hoan Kiem Lake - an important symbol of Vietnamese folklore - before heading to your final stop at Ngoc Son Temple on a tiny island on the lake. 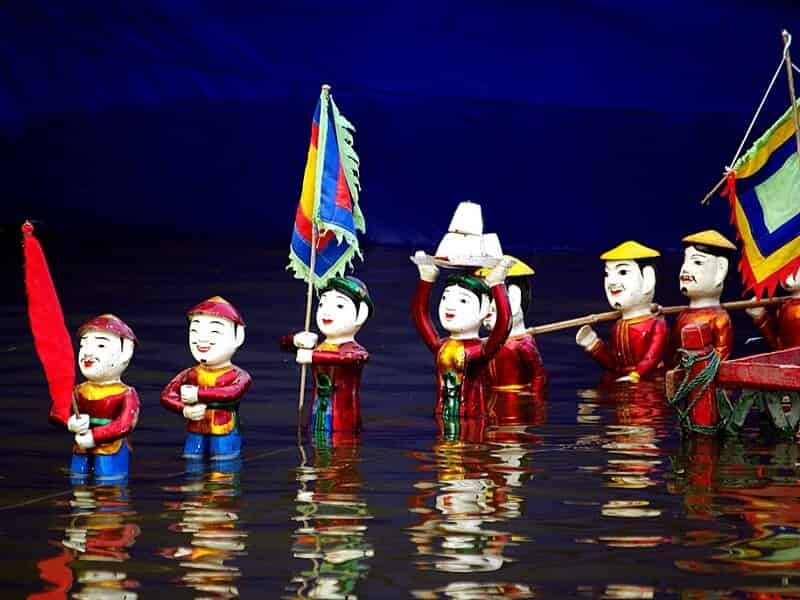 Enjoy a water puppet show for a look at traditional performance art in Vietnam before heading back to your hotel. Following an early breakfast, leave Hanoi for a 4-hour (approximately) drive to HALONG BAY, Vietnam’s most popular UNESCO World Heritage site! Upon arrival around noontime to Halong City’s pier, proceed with check in formalities and board the junk for a five-hour cruise on the emerald green waters of beautiful Halong Bay, dotted with more than 2,000 towering karst islands topped with dense jungle foliage. Lunch (with fresh seafood) will be served on board while cruising into the bay. Wake up early to enjoy a memorable sunrise over the karst formations of Halong Bay. Enjoy the delicious breakfast while the junk cruises back towards the port through more limestone formations. Upon arrival to port, disembark and being transported back to Hanoi to catch your overnight train to Sapa, a town situated on the northern border shared with China. Upon arrival to the border town of Lao Cai, have breakfast before driving to visit a local market. 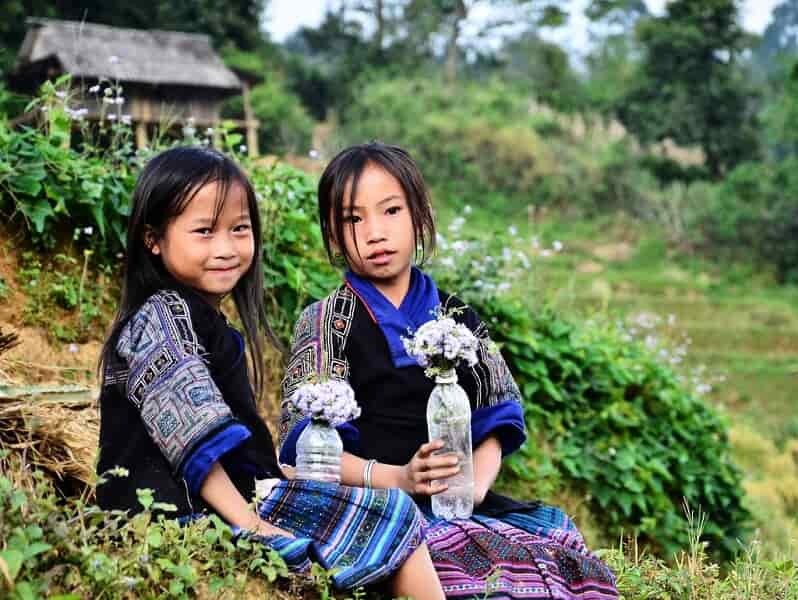 It is here that there will be the first opportunities to encounter the ethnic groups, particularly the Flower Hmong, Phu La, Black Dao, Tay, and Nung. The market offers a variety of local products including its interesting animal market where pot-bellied pigs, cows and buffalos can be seen. Continue with a short walk to a hill-tribe village. Visit some local homes to learn about the daily life of these tribes as well as their culture and traditions. Afterwards, transfer by road up through the mountains to the former hill station town of SAPA, a base for tourists visiting the mountainous northwest. In the terraced hills and mountains of this area, the expansive green landscape is enlivened by the vibrant colors donned by its hill tribe populations. You can see the towering peak of Fansipan that reaches over 10,300 feet above sea level. Sapa was once a significant town for French military troops and missionary groups. Continue on a walking tour of Sapa for a visit to another busy market area, where the Red Dao, Black H’Mong, Tay, and other ethnic minority people converge from the surrounding countryside to sell their silverware and handicrafts, and to buy provisions. Following this, take a light trek to discover Sapa's quaint hill tribe villages set against the stunning Hoang Lien Son Mountain Range and Indochina's highest peak, Mt. Fansipan. NOTE: Appropriate footwear must be worn on treks in Sapa. Note that if conditions are wet, programs may be adjusted. A picnic lunch will be had en-route. Enjoy the rest of the afternoon and evening at leisure. Today the mountainside is calling and there is no reason to ignore its luster. After breakfast you will follow your guide through the hillsides on a two-day mountain bike excursion. Cycle downhill on a windy road, which goes along Muong Hoa Valley. The valley is home to Black Hmong, Giay and Red Dao minorities. The countryside beyond Sapa is a marvelous display of nature’s majesty made of the eastern reaches of the Himalayas. The morning mist has dissipated. The sunshine brings a fabulous glow over the emerald mountains. The wind brushes against your cheeks as you follow your guide into the valley. 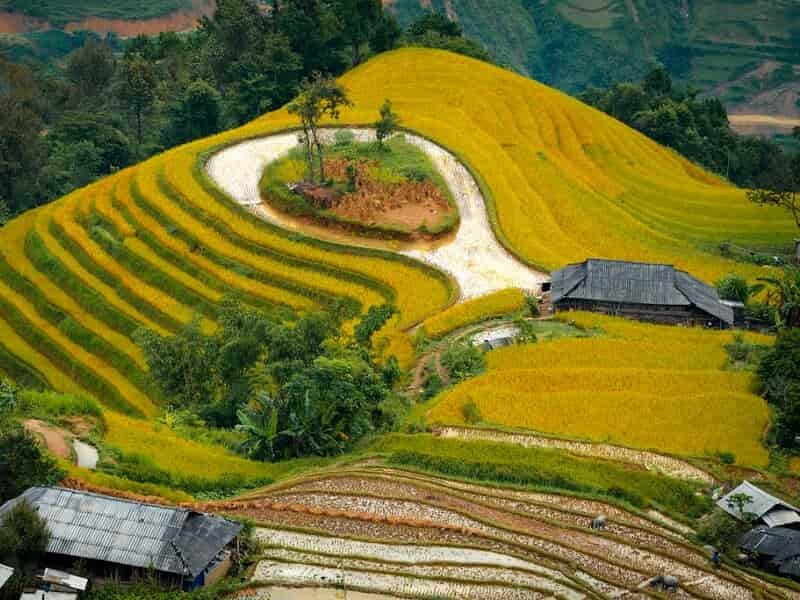 The hillsides are terraced with paddy fields and bring you the quintessential image of the Vietnamese countryside. After a short break in Su Pan Village, cycle downhill until you reach Thanh Phu Village of Tay minority. Here you stop for lunch in a traditional Tay house. After lunch, your ride will be mostly uphill; you head toward Sin Chai Village of Red Dzao minority where you will stay overnight in in a bamboo hut in the village. You come to a local Red Dzao Village and find the people to be shy at first. The children are the first to open up. They grab your hand and want to take you through the village. The group is named for the colors that they wear, in this case predominantly black clothing. Chickens cluck beneath the stilted homes. Water buffalo pull carts that are filled with the local crops. You watch the women weave detailed textiles that combine large spaces of black fringe with geometric shapes and color. Overnight in Sin Chai Village. Today the mist passes you over and brings the sunlight bright and early. The chickens are active and running around the village streets. After breakfast you hop back on your bicycle and follow your guide back towards Sapa. Today’s ride will be a little softer. Pass by some tiny villages in the mountains that are all tremendously different even though they aren’t necessarily located far apart. The Red Dzao villagers are known for their colorful clothing, vibrant red headwear, and sensational belts. Their village is settled up and down the hillside and the villagers maintain the paddy fields along terraces. Along the ride, make a stop to visit a local school and give children some small gifts such as pens or books. You will also be able to meet Xa Pho minority, one of the smallest ethnic group, which cannot be found in other areas. Return to Thanh Phu before continuing the ride to Ban Ho where you take a break for lunch in a local house. After lunch, you can take a short walk to the nearby river, where you will be able to have a swim. Take a break and have a cup of tea in a Tay house before jumping on a car for a journey back to Sapa. Today the Vietnam Adventure Tour departs Sapa and takes you south along one of the most scenic stretches of road in Asia to Mu Cang Chai. On our way, stop at a traditional Thai Village overlooking a large rice field and surrounded by enormous bamboos groves. The road from Sapa to Than Uyen is superb, meandering through hills covered with tea bushes until reaching Tram Uyen Pass, dominated by Fansipan Mountain, culminating at 3143 m. We will make numerous stops along the way to capture these magnificent landscapes. Arrive in MU CANG CHAI around noontime which coincides the lunch with the local H’mong ethnic people. Mu Cang Chai holds some of the most impressive rice terraces in the country and is listed as a Vietnam National Heritage Site. Throughout the day, we will have plenty of occasions to observe the H’mong people going about their daily lives and working in the fields. In the afternoon, visit Lao Chai Village, and La Pan Tan “Rice Canyon” before arriving at your simple homestay in Nghia Lo. Have dinner with a Thai family. This morning you depart Nghia Lo and journey on to the Hanoi Airport for your flight south to DONG HOI. En route to the Hanoi Airport, stop to visit unique so-called Thanh Chuong Palace, the home and studio of painter Thanh Chuong, one of the most celebrated painters in Vietnam. More a living space than a museum, the palace is an architectural gem featuring Vietnamese traditional cultural objects, exquisite antiques and remarkable structures. On arrival in Dong Hoi, you will be met and transferred to the edge of the Phong Nha-Ke Bang National Park. Today you visit Phong Nha, and Paradise Cave located in the most well-preserved remote and mountainous region of Central Vietnam. Overnight at hotel near Phong Nha - Ke Bang National Park. Today you start the six hour trek to Hang En, also known as Swallow Cave. The journey takes you through rural villages, rivers, and jungle to the end point and Hang En, the world's third largest known cave. Afternoon exploring the cave network, settle down then camp in the cave. Dinner and free at leisure. This morning, you will visit the Exit Cave before breakfast, then continue to explore the other caves. Depart camp in the morning on the trek back to the main road. This afternoon you return to the coast for your accommodation in DONG HOI where you can freshen up. After breakfast, you will be transferred from Dong Hoi to Hue. 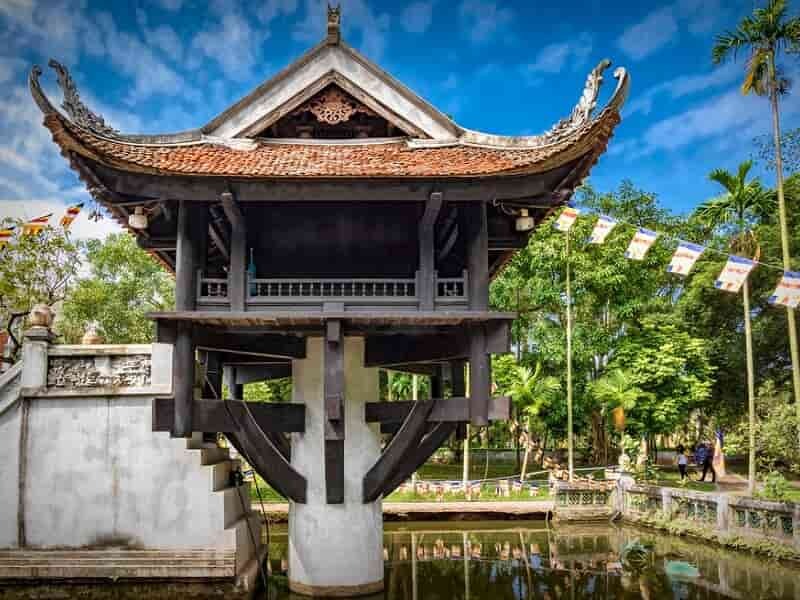 Stop at a couple of historic sites and monuments to understand the past history and story of Vietnam War. 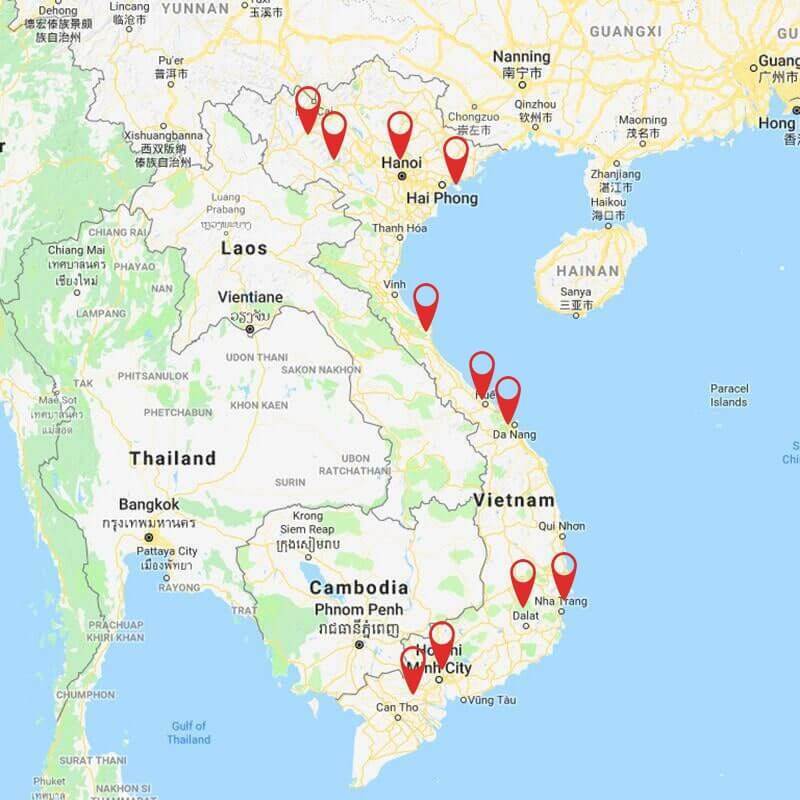 Continue up Highway 1 across the Hien Luong Bridge, and over the Ben Hai River which demarcated North and South Vietnam. This area saw some of the heaviest fighting during the war. Doc Mieu Firebase, which lies just north of here, played a pivotal role in the South's defence and for a while, this was the command post for calling in airstrikes along the Ho Chi Minh Trail. The journey from here to Vinh Moc Tunnels is scenic after you leave the main highway, passing through quaint villages and skirt along Cua Tung Beach. The Vinh Moc Village found itself tragically positioned in one of the most heavily bombed areas of Vietnam. In order to escape this bombardment, the villagers constructed approximately 2.8 km of underground tunnels which they used as a refuge to survive the bombings. Three hundred people lived intermittently in the tunnels from 1966 to 1971. From the Vinh Moc Village, drive to Truong Son National Cemetery where the remains of some 15,000 Vietnamese soldiers and civilians have been laid to rest, sadly many tombstones bear no name. Arrive in HUE in the late afternoon. Check in at your hotel and spend the rest of the day at your own leisure. Float down the peaceful Perfume River by boat, taking in the endless surrounding greenery. 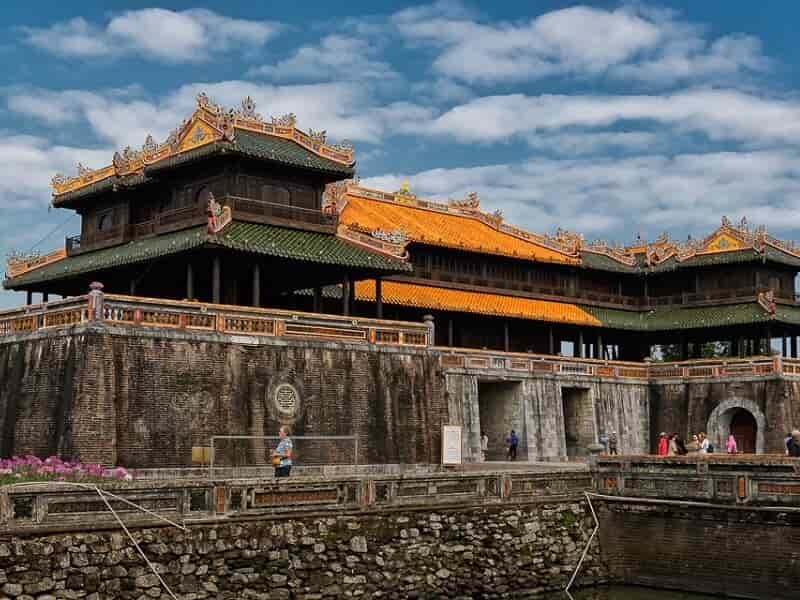 At the end of your hour-long boat trip, hop off at the pier and transfer to the tomb of Emperor Khai Dinh, designed in traditional Vietnamese style with a European touch making it unique from the other tombs in Hue. Admire the unusual combination of architecture that blends a traditional Chinese past with a modern Western future. Then, continue to tomb of King Minh Mang located in a tranquil setting of gardens and ponds to explore the opulent and exotic resting place laid out in formal Chinese style. Take a half-day tour of the former imperial capital. Commence at the Imperial Citadel where the Nguyen Dynasty ruled between 1802 and 1945. The Citadel was heavily bombed and badly damaged in the latter stages of the French and American wars but retains a sense of grace and majesty even today. It also reflects the pomp and ceremony of the dynastic rulers as well as the scars of many years of turmoil, both ancient and modern. After exploring the ruins of this wonderful monument, continue to another highlight of Hue city, 17th-century Thien Mu Pagoda which overlooks the Perfume River. Visit the 21-meter tower which is the centerpiece of the pagoda, representing seven reincarnations of Buddha. On the pagoda grounds you will see the famous Austin car a resident monk drove to Saigon in 1963 to protest against the southern regime. The photo of his self immolation is one of the most well known images of the war. Depart Hue for Da Nang in a 2-hour scenic drive. You will soon see the mountains stretching over the skyline along Pass of Ocean Clouds (or Hai Van Pass in the Vietnamese language). The pass itself undulates along the ridgeline that winds along the coast. The exceptional forestry drapes over the hills while the morning mist reaches out from the sea. You can see where the lush jade hills meet the sapphire shores. There is a chance to stop then drop down to the beautifully photogenic fishing village of Lang Co. Arrival in DA NANG, a city of vast differences, where the past continues to dazzle amidst a stretch of new, opulent skyline, pay a visit to the Cham Museum, which exhibits the finest collection of Cham sculptures in the world. The artifacts range from icons to statue that overtake the open spaces of a French Colonial building embellished with Cham artistry. Dragons, Vishnu, and Ganesha can be seen engraved in stones that have been found throughout the countryside of what was once a strong kingdom. In the morning, you make your flight to DA LAT, where the cool mountain air sweeps through the surrounding peaks and foothills. Da Lat is a former cool retreat of French colonial and is a hidden gem you rarely get in adventure tours Vietnam. Upon arrival, your guide will be awaiting to transfer you to the hotel for check in. Refresh then check out the Crazy House, so named for the surreal architecture that makes it resemble something between a Disney Castle and a kid’s adventure playground, but this one’s for grown-ups too! Pay a visit to Bao Dai Summer Palace Da Lat. Bao Dai is the last Emperor of Vietnam. The palace contains influences of Art Deco décor where square angles connect to the rotund entrance. The back courtyard maintains its charming shape with its manicured grass and delightful geometrics. You can visit the emperor’s office within the palace, an imposing ambiance filled with regal and military seals enhanced by the large desk and collection of spears and crossbows. The surrounding landscape is lush and lavish bringing you a sense of tranquil beauty encompassing the opulent home of a former ruler. Take an orientation tour of this former colonial hill station. 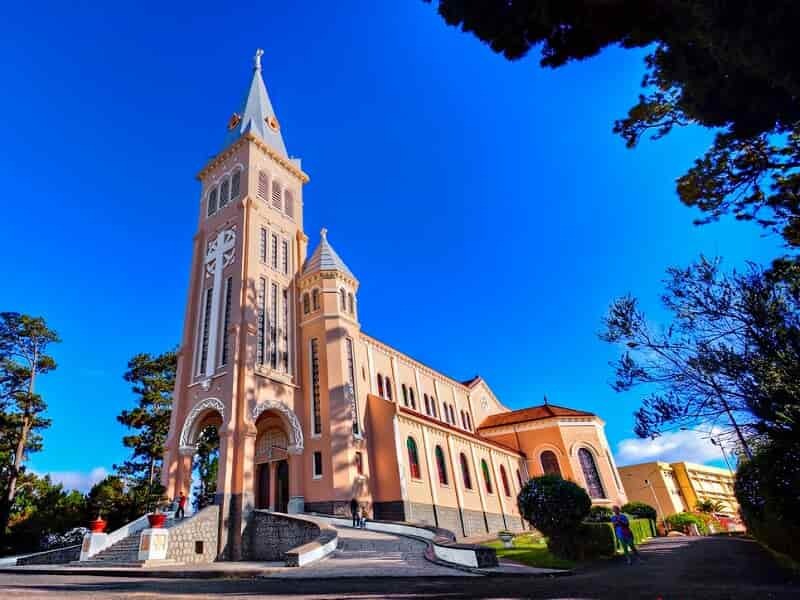 Dalat is home to Lam Vien Square, Xuan Huong Lake then Da Lat Flower Garden (formed in 1966) which is known as the paradise of flowers with a rich collection of local and foreign flower types: roses, impatiens walleriana, chives, azaleas, bird of paradise, hydrangeas, orchids, cactus. You can take pictures in the colorful flower garden, walking in bonsai park, stroll along romantic lakeside, riding horse or using the swan pedal boat. If you love art work, XQ Embroidery village (XQ Historical Village) is a worthy place to see many miraculous handmade embroidery works and find out how they make fantastic artwork. This is the head and original hand embroidered works of XQ in Vietnam. Check out the hotel then have have lunch at the local restaurant. Visit the Dalat Railway Station which dates back to 1932 and remarkable with its architecture and its old steam locomotive. After lunch, we continue to visit the amazed Linh Phuoc Pagoda which was built from debris of glass, pottery and porcelain, and the unique Guan Yin statue by immortal flowers of Vietnam, followed by a visit to an organic vegetable farm. We then head to the hotel to check in. Have some time for refreshment and relaxation before we continue the program the late afternoon. Explore something soft adventurous into the graceful woods to the celebrated Datanla Waterfalls, located in outskirt of the charming Da Lat. The cool climate and the lovely shaded forest of the waterfall offers a comfortable place where you can savor the views of the wildlife within the cedar aromatics of the easy walking trail. Hear the rush of water in the distance before the falls even come into view. The roaring sound guides you to the gorgeous cascades of water careening over the cliff to the iridescent water below. A footbridge arches over the water allowing for an overhead view of the winding whitewater and the protruding rocks. For a unique panorama of the forest and falls you can take a roller coaster ride along the bobsled track that weaves down the hillside with the surrounding leaves, flashing falls, and misty air all around you. Drive on a panoramic route down a lush mountain pass to the coastal plains of the Central Vietnam. The highland crops of coffee, tea and vegetables are replaced with that of tobacco, grapes and rice as the road moves into dry climate. Follow the coast, passing salt ponds and vivid green rice fields to Nha Trang. After the breakfast, descending to the coastal city of NHA TRANG. Drive on a panoramic route down a lush mountain pass to the coastal plains of the Central Vietnam. The highland crops of coffee, tea and vegetables are replaced with that of tobacco, grapes and rice as the road moves into dry climate. Soon you will find yourself in Nha Trang, arguably the most beautiful beach in the country, with white sand and blue sea.. Arrive in Nha Trang, check in hotel then embark on a boat tour along the Cai River with your local guide. The traditional shallow skiff cruises up river along bamboo forest and large, luscious leaves. Local villagers cast nets into the water to catch a variety of fish. The scent of incense emanates from the local homes. Ancestor worship is common and an important part of everyday life. You can see the small wisp of smoke rising from the small family altar when you visit a local villager’s home. After lunch, take on a leisurely cyclo tour of Nha Trang. Stops will be made at the outside of the Nha Trang Cathedral and the Po Nagar Temple as well as at the main harbour. Several different stops can be made (upon request) to sample some of the renowned Nha Trang street food and local specialities, including ‘banh can’ (a grilled round rice cake), nem nuong (Nha Trang style Fresh Spring Rolls), and grilled sea shells. If your energy allows, pay a visit to XQ Hand Embroidery, an elaborate yet traditional Vietnamese courtyard looking out to the sea and admire the embroidery on display. It is here that you can see masterpieces unravelling before your eyes upstairs where artisans embroider for hours on end. Some of the embroidery is so realistic that it resembles photographs. In the late afternoon, enjoy a private mineral mud bath before settling into the beachside hotel in the evening. The remainder of the evening is at leisure. The morning pastels run over the horizon. You rise to the sounds of calm water rushing against the sand. 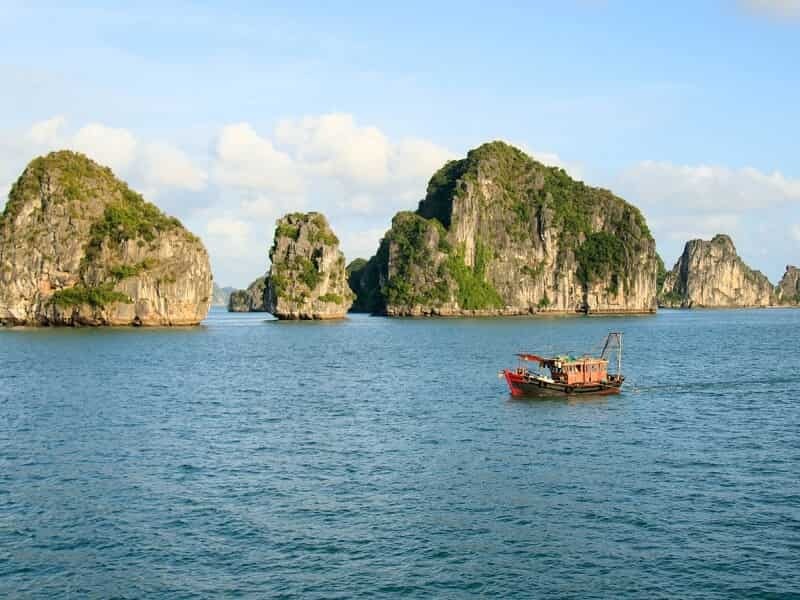 Today you will venture out onto the sea on a speedboat to Mun Island, one of the top destinations in Vietnam for snorkeling and scuba diving activities. While the boat cruises off the shore, enjoy the water with the color of precious stones on the surface. You can also see a clear view of the life beneath the surface. When the boat stops, jump in and feel the gentle ebb and flow of the sea. 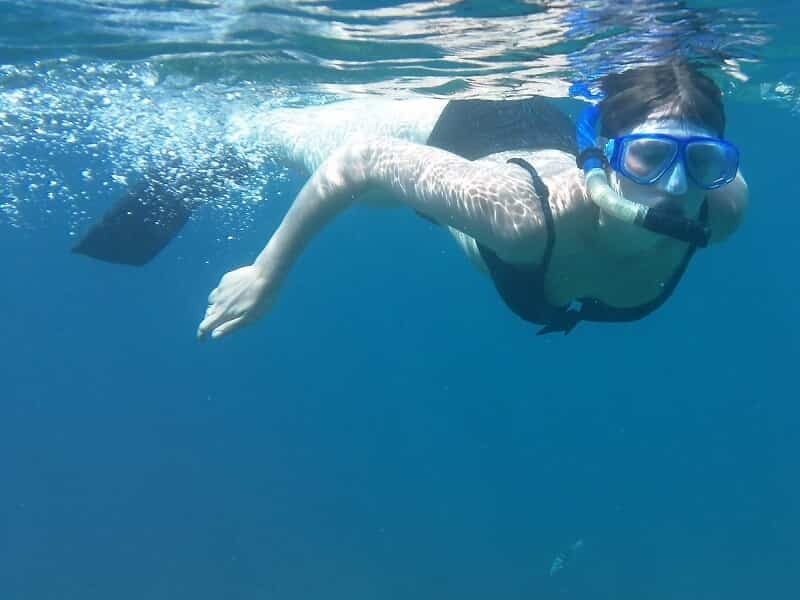 Put on your goggles and snorkel mask to watch the magical world on the ocean floor come to vibrant life. The light is able to pierce the surface and shine on the iridescent fish. The fish swim in large schools that range in color from orange to yellow, black to red. You can find a starfish embracing the coral and letting the soft tide move it slowly along. The water is cool and comfortable all around you. The boat ride is jovial and lively. The sea sticks to your skin when you climb back onto the boat. The band starts to play and brings everyone aboard the ship closer together. After that, continue to cruise around Nha Trang Bay, watching a magnificent view of native islands and the city, enjoying fresh air. It’s an unforgettable trip. Stop at fishing spots nearby Hon Tre Island for fishing. There are over 84 species of fish in Nha Trang Bay. All of them can be caught on rod and line. However, any exotic, rare, special fish or juvenile fish will be returned to the sea. Return to the shore then spend the rest of the day at own leisure. Take a complete break from your Vietnam adventure travel! Nha Trang is an ideal spot for swimming, recreation activities or just reading a book. Your tired limbs will thank you. After breakfast, transfer to Cam Ranh Airport for the short flight south to HO CHI MINH CITY. Upon arrival, your guide will be awaiting to provide the transport to hotel for check in. Take a short rest before embarking on a city tour. Begin the day with a visit to Cholon, the Chinatown district, to discover the area’s markets, shops, and the Cantonese Thien Hau Pagoda. From here, proceed to visit the FITO Museum, Vietnam's first traditional medicine museum, with an stunning collection of 3,000 items relevant to the development of traditional Vietnamese medicine. Implements used to prepare indigenous herbs, and objects commonly found in traditional pharmacies can be seen in the ancient books and documents as well as galleries on traditional Vietnamese medicine. Return to the city centre to visit Ben Thanh Market where an incredible display of fresh produce is offered. Enjoy a stroll through the market exploring the variety of goods for sale. Lunch break at a restaurant. Continue to the War Remnants or History Museum (up to personal preference) and the Reunification Hall, formerly known as the Presidential Palace. From the Palace, stroll to the other major sights of colonial Ho Chi Minh City: the elegant 19th century Old Saigon Post Office, elegant artistry of the Cathedral of Notre Dame, Dong Khoi Street (formerly Rue Catinat), Opera House. The Palace was also where the Vietnam War concluded in 1975, when a Communist tank of the North Vietnam crashed through its gates. Afterwards, head back to the hotel then rest. This morning depart the bustling Ho Chi Minh City then embark on an excursion to the Mekong Delta Region, often referred to as ‘the rice bowl of Vietnam’. It takes you 2 hour drive to reach the CAI BE in Tien Giang Province. Lunch will be served in the local Mekong style with specialties of the area. After lunch, we pay a visit to the Vinh Trang Pagoda, surrounded by beautiful gardens, in My Tho Town, before heading back to Ho Chi Minh City. Your Vietnam Adventure Tour wraps up today. Relax at your hotel until your private transfer will ferry you to the airport where you will catch your return flight home. For ideas on further customization, you may want to listen to our further suggestion for another tailor-made trip to Vietnam or Indochina discovery.